Beginning its ninth year, St. John Paul II Regional is a premier Catholic school serving students from Preschool Three to Eighth Grade. What was originally the product of three merged schools prior to 2008 (Our Lady of Grace, St. Luke and St. Lawrence), is now widely regarded and accepted as a community resource for academic excellence, high school preparedness and well-rounded young men and women that truly live the Christian values they are taught. Through a faith-based approach, students learn self-respect, respect for others and commitment to a better society. 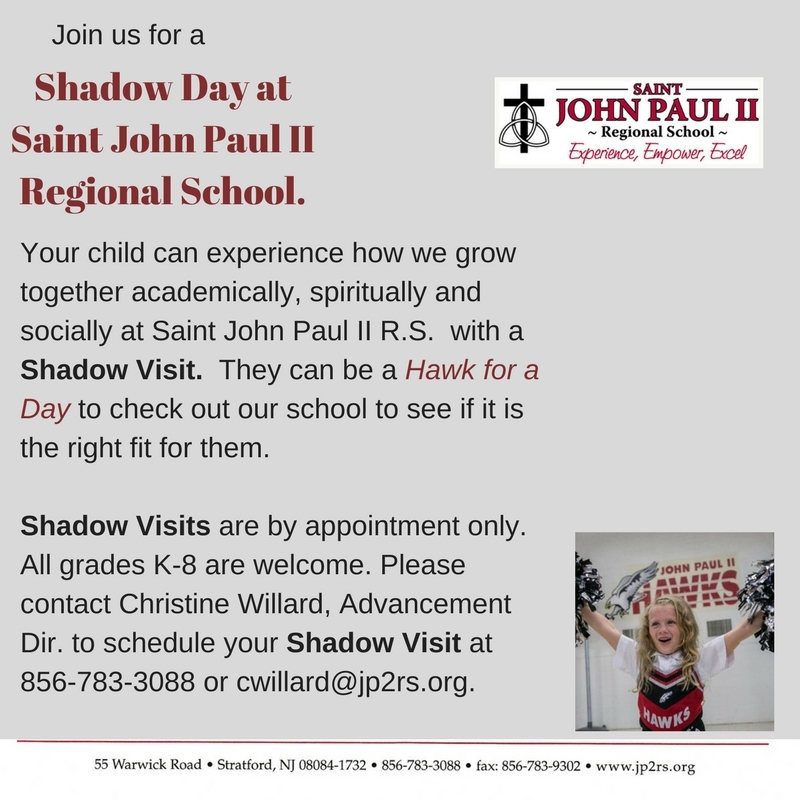 St. John Paul II Regional School is a thriving school community, evidenced by increased enrollment. With help from Our Lady of Guadalupe Parish, strong leadership from the church as well as the school Principal and administrators, St. John Paul II continues to meet its goals and to set standards even higher. "I think St. John Paul II is the best school for children. They are caring and helpful to our children and I feel the children are safe as if they were with us when at school. I know because if I ever needed help with anything Mrs. Persing was always there for us."